» Taxes on Bicycle Helmets and Child Car Seats? 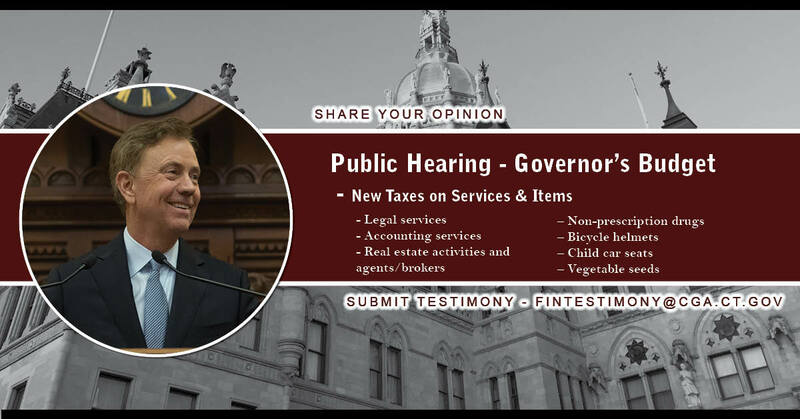 I encourage everyone to express their thoughts on these proposals by submitting testimony to fintestimony@cga.ct.gov. Please include the bill number, S.B. 877, in the subject of the email and feel free to copy me on the email, Stephan.Harding@housegop.ct.gov. As always, feel free to contact me with questions or concerns at Stephen.Harding@housegop.ct.gov or call 860-240-8700. As always, please don’t hesitate to contact me at 1-800-842-1423 or Stephen.Harding@housegop.ct.gov. You can also follow my legislative activity on my website atwww.RepHarding.com or my Facebook page atwww.facebook.com/repharding.